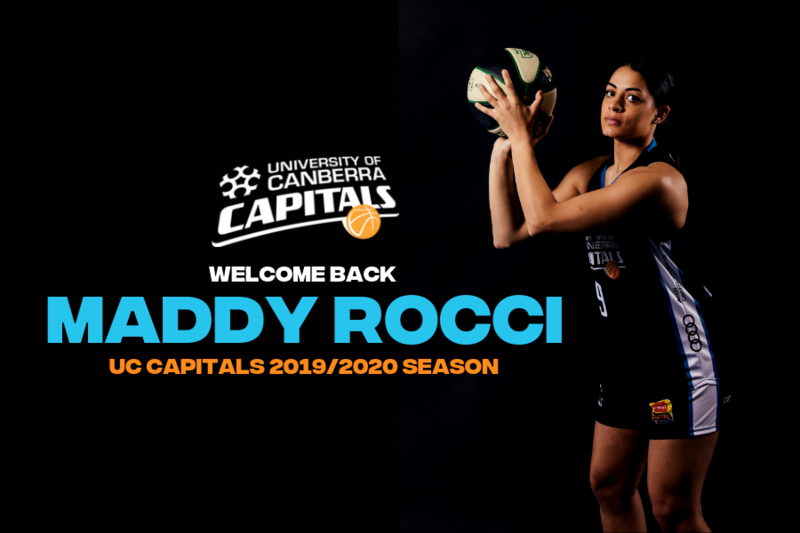 Rising star Maddison Rocci has re-signed with the University of Canberra Capitals for a third consecutive season ahead of WNBL 2019/2020. Rocci said it’s an amazing feeling to know that she will be back for another season with the only WNBL club she’s played for. “I have loved my past two seasons with the UC Caps and I’m so excited for the upcoming season. I can’t wait to be able to play in front of our fans again and give back to them in any way I can,” said Rocci. The 20-year-old Guard had an impressive season with the championship team, claiming the Capital on The Rise award at the UC Capitals presentation which recognises the most promising young talent. Despite coming off the back of a great personal season, Rocci said she doesn’t have any expectations other than to have another successful season with the team. “I am going to continue to work hard and make sure I’m ready to compete the best I can to help the team achieve our major goal. “My heart was always telling me to come back to Canberra. The club is very professional with what they do and after winning the championship, I knew I wanted to look for that back-to-back championship with the team,” said Rocci. Before returning to Canberra for pre-season, Rocci will play in the Queensland Basketball League with the University of Sunshine Coast Rip City which starts April 26. Rocci is now the sixth player to sign with the UC Capitals, joining Kelsey Griffin, Marianna Tolo, Kia Nurse, Keely Froling and Kristy Wallace.